Confused? Here are some suggestions to get you started. 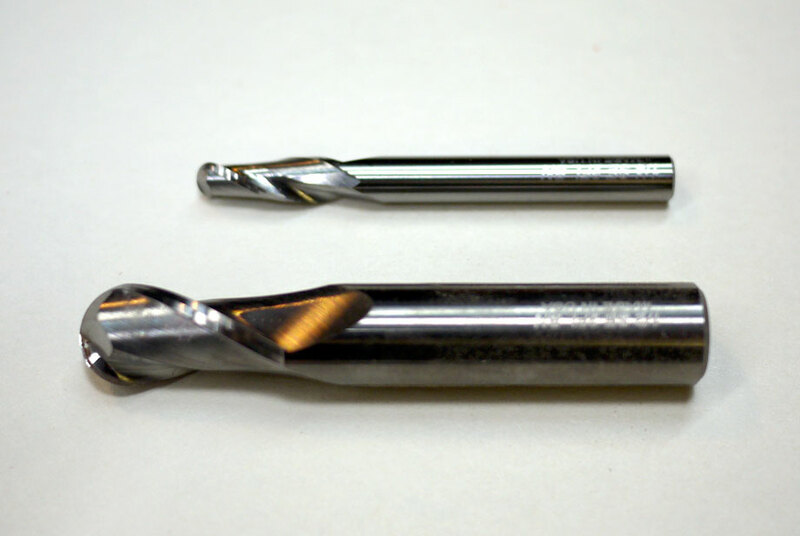 End mills come in many different diameters. You can choose an upcut or downcut. 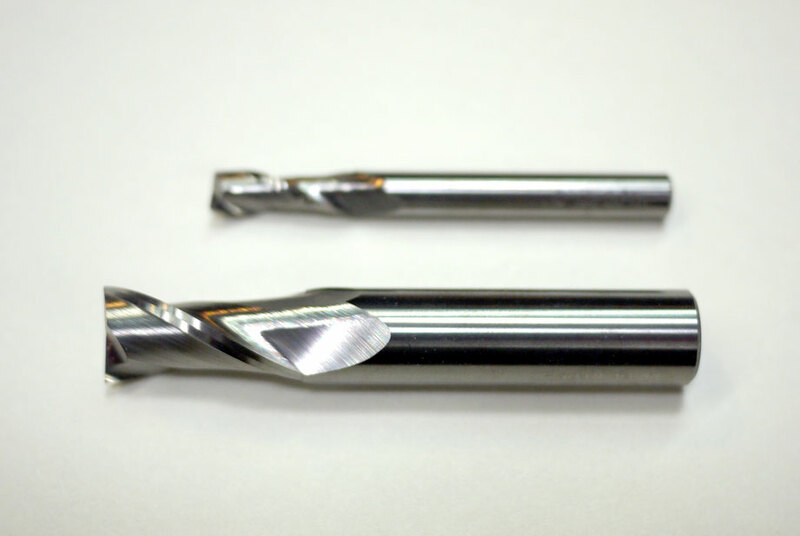 An upcut bit clears the waste out of the cut leaving a cleaner bottom edge, but it pulls up on your material which mean it requires strong clamping. It can also splinter the top surface of material. A downcut bit pushes waste material down into the cut and leaves a cleaner top surface because of the down-shearing cut. You can also choose the number of flutes and the finish the bit will leave. Too much? Don’t worry. I’ve made it easy for you below. Ballnose (aka contouring) bits are fantastic for 3d carving (think topographical maps and the grape relief on the sign at the wine shop). You can carve with just the tip to get great detail and smooth contours or they can move a lot of material just like an end mill. I used a 1/2″ ballnose bit to carve a wooden sink. 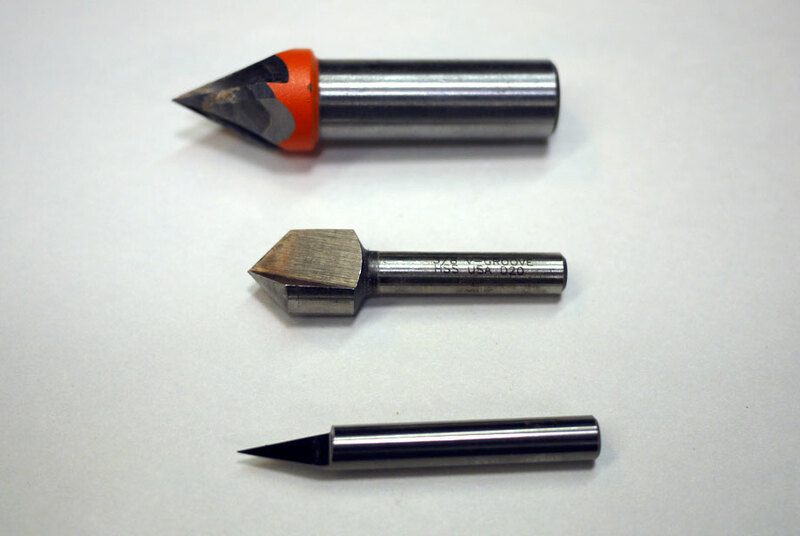 There are hundreds of other profiles for all kinds of special applications. Start with the basics and find what works for you. Thanks for the advice for a brand new cnc owner. This was exactly the info I was looking for. Thanks for taking the time. 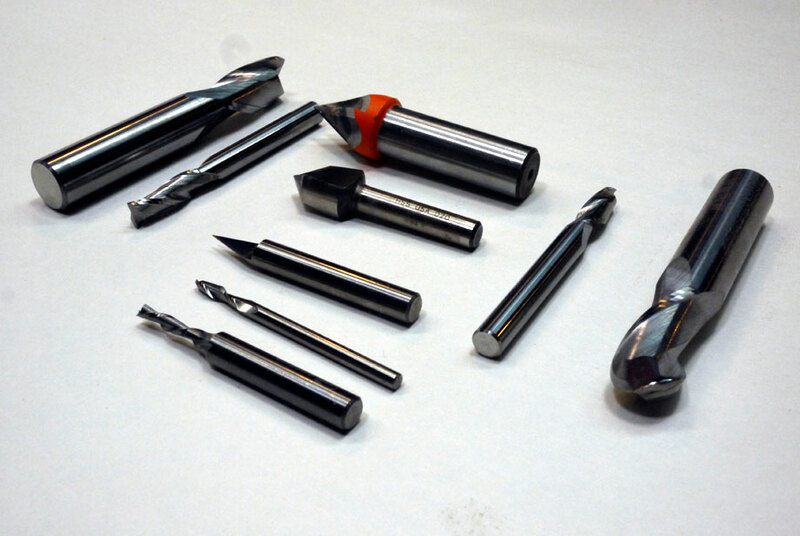 Can you do more articles on bits, and maybe their cuts and looks on different materials. This is perfect for my novice level of knowledge.